The BMMC is a members organisation and many parts of this website are for members only. In order to view these pages, you must be logged in using your currently active membership details. To login, hover or click the “Member Login” link at the top right of the page, click the “Member Login” button and enter your login details in the form. Enter your BMMC membership number as your username; eg NW9876 and your associated password. Note: You cannot use your email address to login and please make sure that there are no spaces in your membership number. 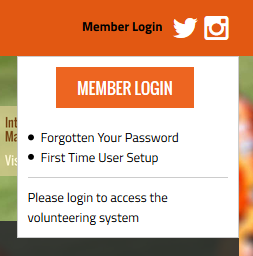 If you are a first time user and have never logged in to the BMMC website before, then you will need to register. Enter your email address and an email will be sent to you with your username and password. If you have any problems with logging in, registering or using the BMMC website, just contact the IT Officer. If you have problems with your BMMC membership, renewal date or membership details please contact the membership officer.